While Game of Thrones: The Complete Seventh Season will arrive on streaming services as early as late September, fans of the record-breaking phenomenon will have to wait a little longer to obtain their copies on Blu-Ray Disc and DVD—until December, to be exact. HBO Home Entertainment just added the disc set to its roster, featuring the entire seventh season, along with a series of bonus features. The Blu-ray™ and DVD sets are packed with exclusive new bonus content including Audio Commentaries on every episode with cast and crew including David Benioff, D.B. 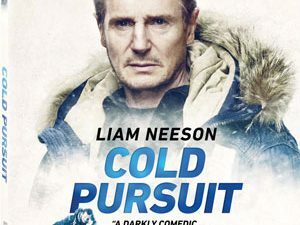 Weiss, Jacob Anderson, Gwendoline Christie, Liam Cunningham, Kit Harington, Lena Headey, and others, and a number of New Behind-the-Scenes Featurettes. Conquest & Rebellion: An Animated History of the Seven Kingdoms is the never-before-seen story of the tumultuous events that shaped the world of Westeros for thousands of years before the series start. Cast members Pilou Asbæk (Euron Greyjoy), Nikolaj Coster-Waldau (Jaime Lannister), Aidan Gillen (Littlefinger), Conleth Hill (Varys), Harry Lloyd (Viserys Targaryen) and Sophie Turner (Sansa Stark) team up to narrate the animated telling of Aegon Targaryen’s attempts to conquer the Seven Kingdoms, written by show writer Dave Hill. From Imagination to Reality: Inside the Art Department an extensive two-part Featurette detailing the astonishing work of Production Designer Deborah Riley and her Art Department, dissecting the process behind the creation of this season’s incredible new sets, including Dragonstone, Casterly Rock, Highgarden, the Dragonpit, and more. Fire & Steel: Creating the Invasion of Westeros revisits this season’s most pivotal moments with this behind-the-scenes featurette, including interviews with key cast and crew breaking down how fans’ favorite moments were created. 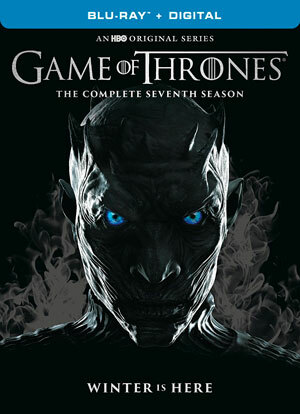 Game of Thrones: The Complete Seventh Season will arrive on December 12 for $74.99 on Bl-Ray Disc and $59.99 on DVD.